Our latest instalment of Jonckers ‘Meet the Team’ interviews profiles the work of our UK Business Unit Director, Chiara Raimondo. 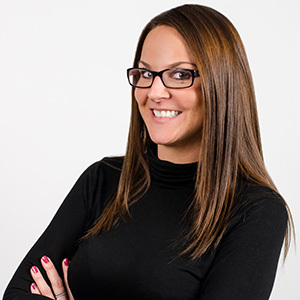 Heading up the UK team based in Manchester, Chiara is responsible for driving business in the UK and Europe. We spoke with her for her thoughts on the company. I’ve been at Jonckers since January 2015. What was it like setting up a brand new Business Unit? Setting up a Business Unit is extremely exciting and rewarding, it’s a sign of local success and potential. As Business Unit Directors it is our responsibility to drive growth through sales, efficient operational processes, account development and retention and excellence in service. When setting up and running a Business Unit, you must never lose focus on that and ensure everything you do keeps those elements in mind at all times. The most challenging aspect has been growing and training a team that supports those objectives both in terms of skillset and cultural fit, but we’re certainly getting there thanks to our strong leadership and established processes. How has the company evolved since you joined? In two years Jonckers has made significant progress in the industry, we have invested in our own technology WordsOnline that will promote a positive customer experience when managing an end to end localization cycle as well as creating efficiencies within our Project Management teams. Jonckers has also opened three new offices during this time in Seattle, San Francisco and Manchester and has seen a consistent organic growth in revenue, year on year. Tell us what you are excited about seeing in the coming months? Over the next coming months we are making enhancements to our sales strategy and expanding our teams globally. I am very excited to see what new opportunities and company developments this brings and how this will contribute to our ongoing success.